Now this is not your average spring roll. 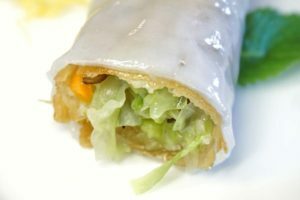 Whilst we also loved the fresh-as-can-be spring rolls at Wing Lei Palace, these added a layer of rice noodle around the deep fried spring roll that took this dish to the next level. Is it a spring roll? Is it Cheung fun? It’s the best of both worlds, that’s what it is. 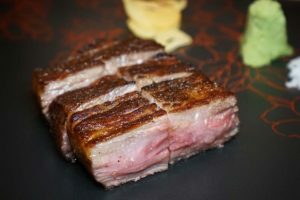 Look we’ll be honest – all of the Wynn restaurants that feature Chinese cuisine serve up great pork belly, but it’s hard to go past Chef Tan’s version at Wing Lei Palace. (Yes, that’s Chef Tan of Jade Dragon fame who’s recently moved to Wing Lei Palace!) It’s perfectly compressed with perfectly crispy crackling…we just wish we’d had the stomach room to devour the entire plate. Regrets, we have some. Doggy bag, please? 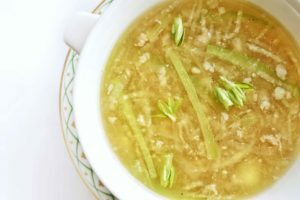 A subtle broth filled with strands of winter melon that feel and taste just like a glass noodle, this is a soup worth trying. Made using a tiny flower that only opens at night for a few days a year, this soup features a truly special ingredient that was completely new to us. Artful and oh so local (bonus points: feels ridiculously healthy too). At first, it looks all too simple – small pieces of grilled Wagyu accompanied with just salt and wasabi – but the result is mind blowing. Some of the best Wagyu you’ll taste, pure and simple. We’ve had the fortune to try this dish twice, and let’s just say it’s now better than ever. 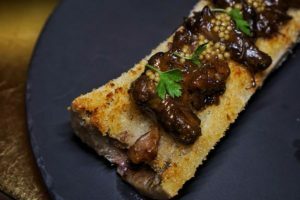 Unctuous bone marrow topped with oxtail and crispy breadcrumbs? Yes please. This is rich, indulgent and oh so flavorful. 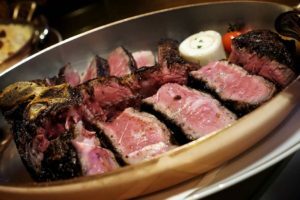 SW Steakhouse knows a thing or two about steak (as one would expect from its name). Their skill at cooking their premium American cuts, however, could just make them one of your favourites. The seductively crispy bark outer hides a tender inner packed with flavor…in a town of Wagyu, this more than holds its own. You won’t be disappointed. Another Chinese delicacy we surprisingly hadn’t tasted until our Macau visit was goose. 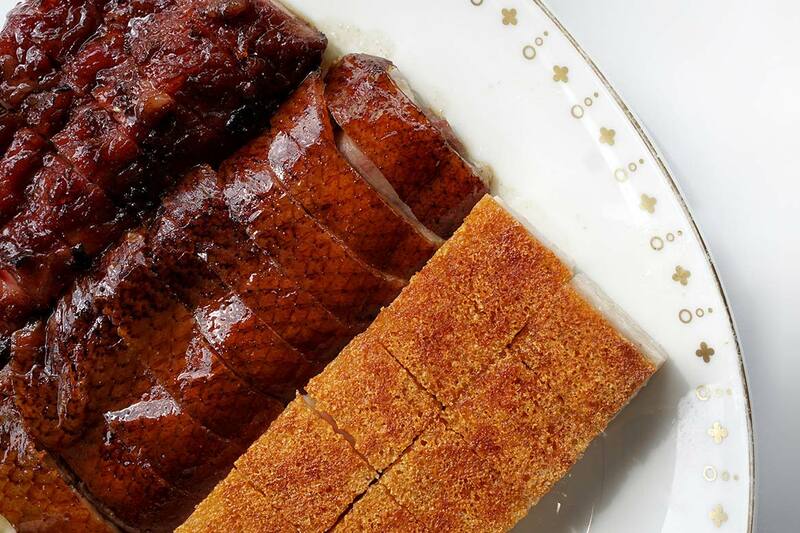 Apparently a lot of Chinese restaurants will sell you ‘goose’ when the reality it’s just another duck on your plate by another name…but make no mistake, Wynn’s goose is the real deal. 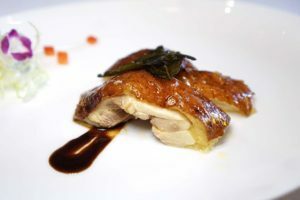 Pair the crispy skin with some of Wing Lei Palace’s superb plum sauce and you’ll be saying, ‘Peking duck who?’. Yep, it’s the same picture as you just saw for the pork belly. This time, focus on that succulent looking meat in the middle…it’s the goose. We love croquettes. Ham, cheese, we’ll devour them all. But Chef Kim at Mizumi Palace takes croquettes to a place we’ve never known with his Japanese take on the classic Spanish comfort food. We tasted a duo, one covered with fresh white truffle and one with slivers of black. 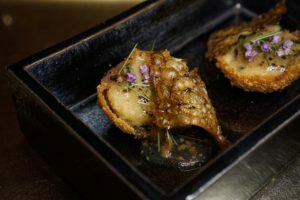 We love croquettes, we love Japanese cuisine and we love truffle – put them all together and you can already imagine just how good this innovative dish is. Heaven. Growing up in New Zealand in an age where Chinese restaurants were all the rage, I’ve tasted my fair share of crispy chicken. Even still, this Tea Smoked Crispy Chicken from Wynn Macau’s Wing Lei absolutely schooled me on the possibilities of what can be crafted from the humble chook. Crispy skin, ridiculously gelatinous, silky fat and flavour for days – this sets the standard. 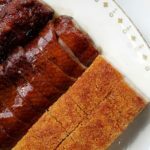 Painstakingly marinated to craft an intricate yet subtle flavor, from the first bite you’ll forever crave more of this seemingly simple yet complex dish. 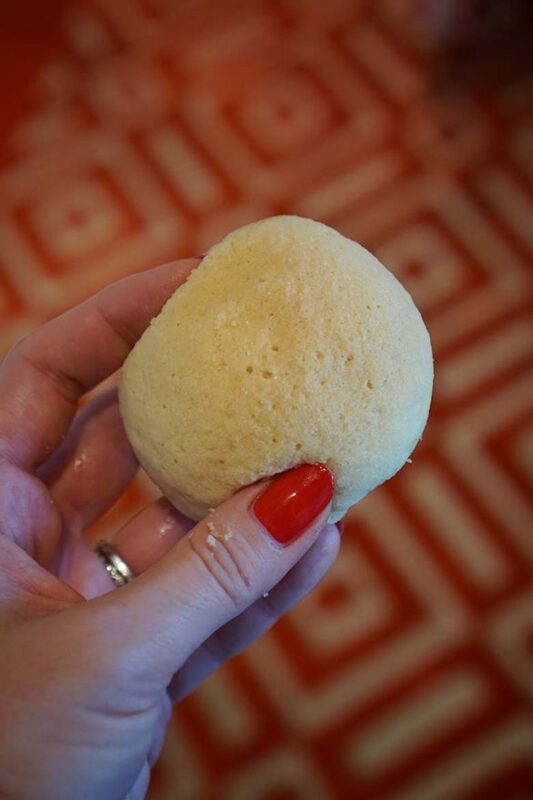 We’re not even sure where to start when it comes to describing this delicacy. ‘Perfection’ might come close. 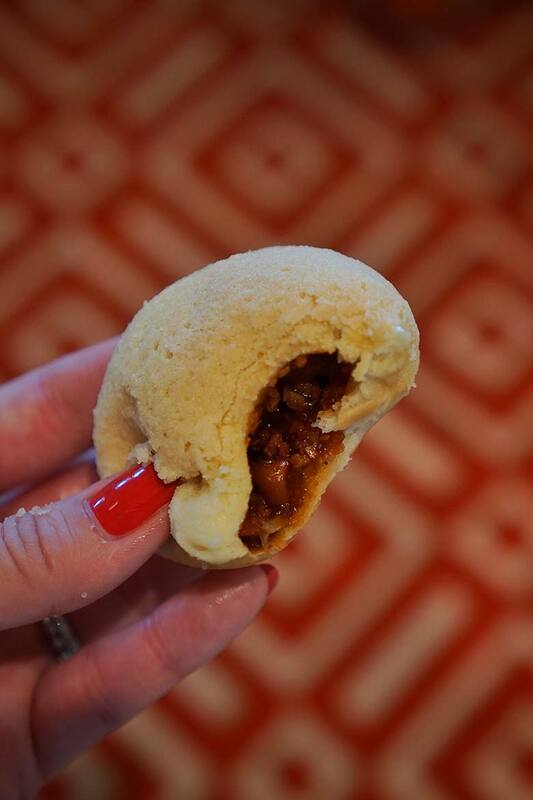 In fact, we can confidently say it’s one of the most amazing things we’ve ever tasted (and we’ve tasted a LOT of things). A crispy, sugar sweet outer gives way to an unfathomably pillowy inner, filled with some of the best char siu you’ll ever taste. Let’s not waste any more time raving about this – just go, eat one, order a second, glimpse heaven….and be sure to thank us when you’re done with this utterly wonderful gastronomic experience. A true bucket list bite. Have you been to Macau? What are your favorite dishes on the island? Be sure to let us know in the comments below!